Lunchbox laws cause friction between schools and parents and achieve a great deal less than intended. I am all for healthy eating, but the answer is not to suspend a 6 year old for what is in his lunchbox. Ultimately, as much as educators want to feel they can change the world in all instances, the job of parenting should rest solely with … parents. 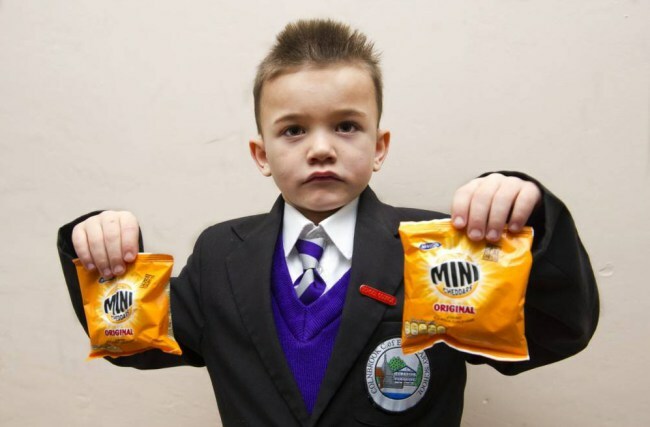 It is not the business for schools to suspend children for cheddar cheese bags. 1. Having a quiet word to parent offenders. 2. Complimenting children with healthy lunches. 3. Having a fruit and vegetable party in the classroom to celebrate a class achievement. This has proven particularly successful in my classroom. 4. Sending a list of healthy food options for lunchboxes to parents. Parents hate to be preached at but often welcome tips and advice. I am sure my wonderful readers can recommend other positive ways to get parents to include more healthy items in their kids’ lunchboxes. As a teacher and parent I would love to read them. This entry was posted on February 2, 2014 at 12:44 pm and is filed under Nutrition. You can follow any responses to this entry through the RSS 2.0 feed. You can leave a response, or trackback from your own site. I’d better keep the pork pies I have for lunch a secret, then, just in case I’m breaking some unpublished rule. I wont tell if you don’t.